IMPROVED! 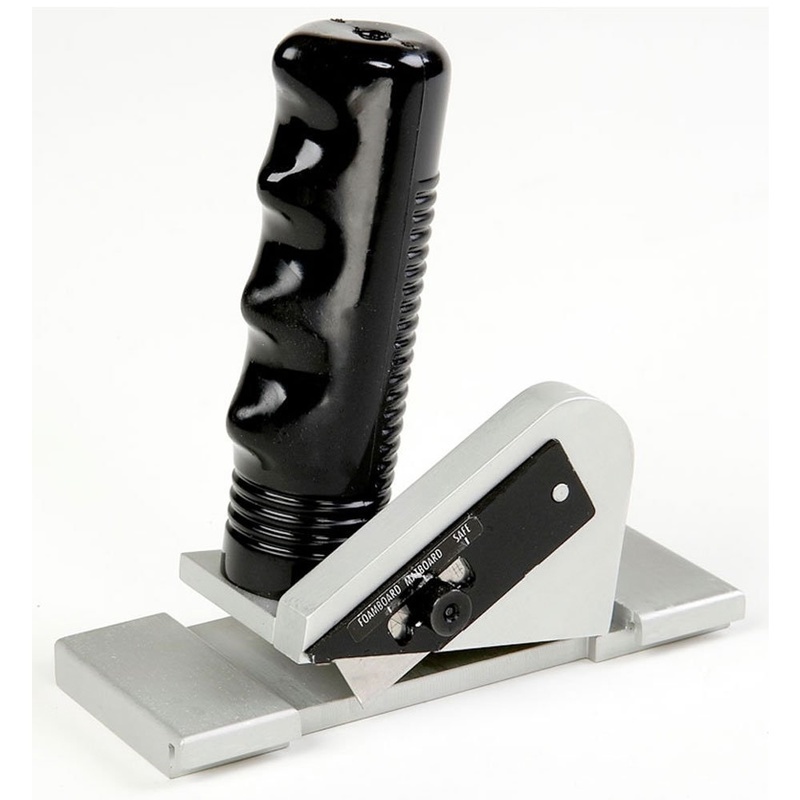 Pull type 90-degree straight cutter has comfortable 3"(7.62cm) ergonomic handle. Features an adjustable depth pivot cutting action. Use with any suitable straight edge. Three depth settings: safety, single sheet, and 3/16" (4.7 mm) foamboard. Includes pre-installed nylon guides and screws to instantly add on to Logan Adapt-A-Rule, Logan Team System, Logan Compact, Logan Intermediate, and Logan Simplex Plus. Includes five replacement blades. Uses Logan 270 blade.